Strawberry season will be here soon! I can’t wait to take my daughter to the strawberry patch again this year. If you’re excited about strawberries, too, you’re going to enjoy these strawberry-themed count and clip cards that you can incorporate into your spring homeschool preschool and kindergarten lessons. 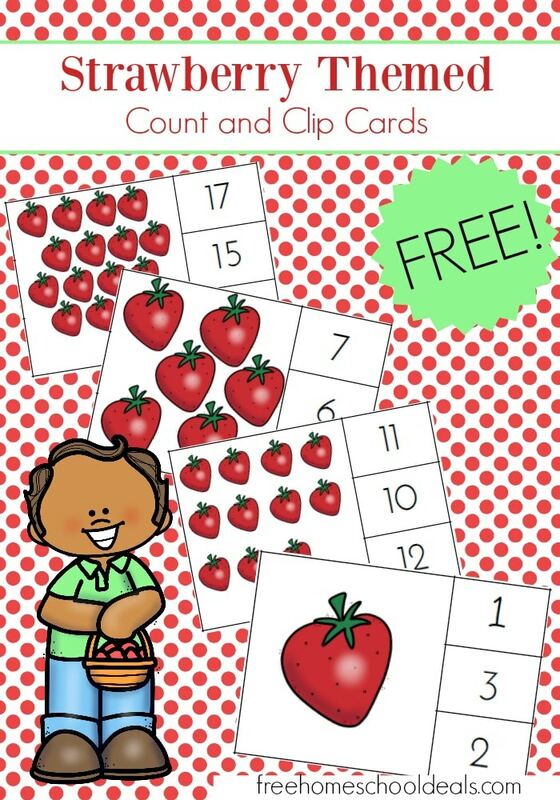 These strawberry-themed count and clip cards will help your young learners work on counting, number identification, fine motor skills as they count the strawberries on each card, identify the correct numeral, and clip it with a clothespin.